This is the public profile of Mr. Paitoon Keatkeereerut, Mr.Chawin Hanjing, Additional information and high-resolution images are available for accredited press members, to access additional information about Mr. Paitoon Keatkeereerut, Mr.Chawin Hanjing please login as a press member. 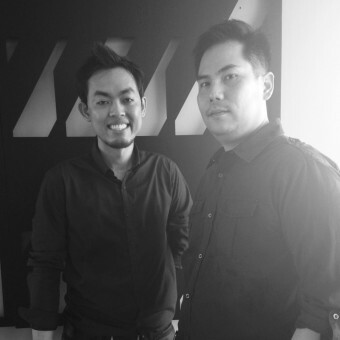 About Mr. Paitoon Keatkeereerut, Mr.Chawin Hanjing : Since we graduated from BA Interior Design, Rangsit University in 2000. After that we started talking about designing, Building a successful Furniture Business. 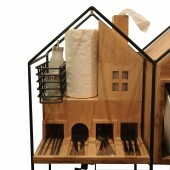 We are interested in Art and Design such as narrative, sculpture, sequence of family, space. We are all the same kind of difference. I have been working in an interior field for more than 10 years on other side my partner he is working as a window-display designer for a department store. Finally, Partly Cloudy studio was officially founded in 2012. All furniture we have done which are combined with window display design and functional analysis. After all was said and done, we had a wonderful experience. 2000, BA Interior Design, Rangsit University, Bangkok/Thailand. 2012, Graduate Diploma Interior Design, Chelsea College of Art and Design, UAL, London, England. Press Members: Request an exclusive interview with Mr. Paitoon Keatkeereerut, Mr.Chawin Hanjing.